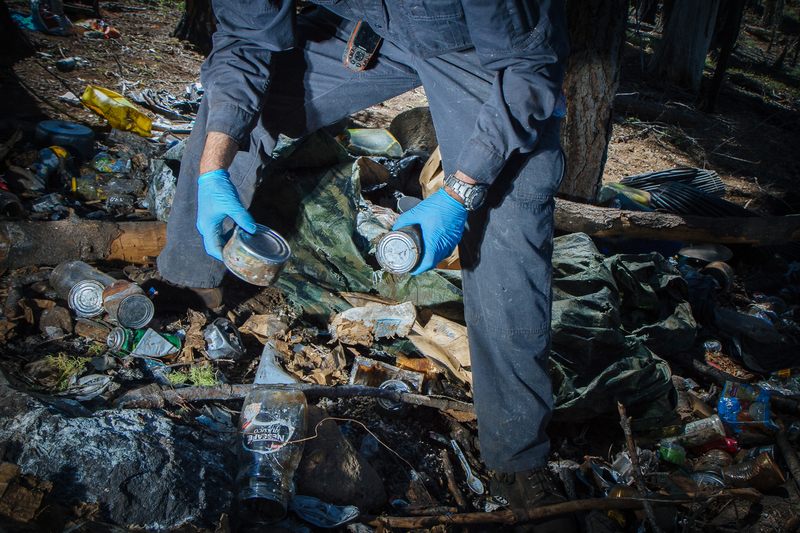 Dr. Mourad Gabriel lifts cans of tuna that have been punctured, likely by rummaging bears. Growers camp in close proximity to the fields that they manage. These camps will contain months’ worth of living and farming supplies, including food, pesticides, rat poisons and irrigation tubing. These items serve as attractants to wildlife. Bears, coyotes, fox, fishers and all number of animals will rummage through the garbage left behind, often falling victim to poaching, poison traps, and containers of toxins discarded around the site.